What do you crave at the end of a day full of stress? We often want s to reward ourselves with a treat - maybe a gooey chocolate dessert. The problem is, once you’ve stopped thinking “I deserve this, I must have it,” the guilt sets in and start counting calories and sugar, thinking “Why did I do that?” Then, not only are you stressed out by your long day, but also by the reward that was supposed to make it better! 1. Choose wisely. There is a difference between a cheap chocolate cookie and a good quality dark chocolate. Picking an organic, fair-trade chocolate that is at least 60% cacao ensures you will get the great benefits in cacao (read on to learn what they are!) with the least amount of sugar and chemicals. 2. Let it melt in your mouth. Through amazing chocolate engineering, healthy fats in cocoa butter melt at about 90-93 degrees, a.k.a. the melt-in-your-mouth temperature. 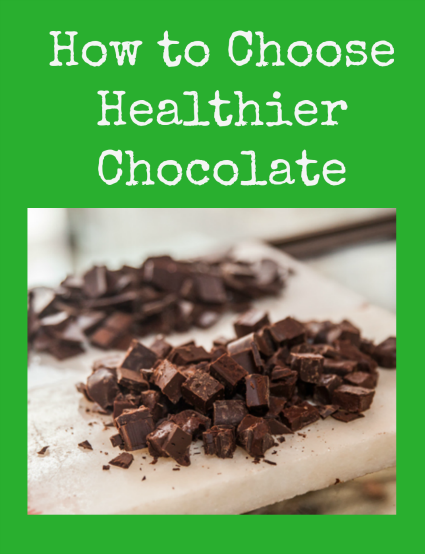 Not only do healthy fats help you feel satiated and contribute to better skin and hair, but letting the chocolate melt in your mouth can create a sort of mindful meditation and increase your feelings of well-being and satisfaction. 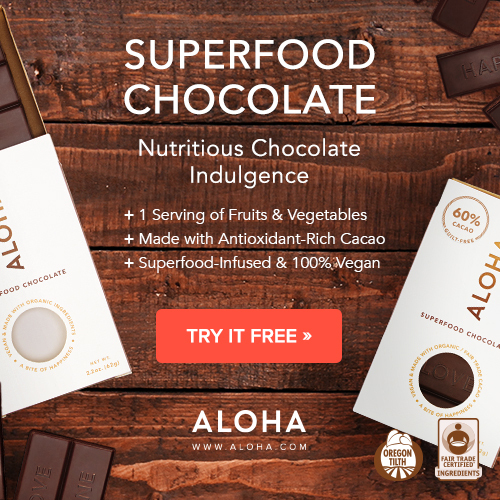 If you want to explore the wonderful benefits, try the Free Trial of Superfood Chocolate from ALOHA! You will receive 1 full-size chocolate bar with your trial, which contains 1 serving of fruits and vegetables, is sweetened only with coconut sugar, and is made with 60% fair-trade-cacao. Don't miss your chance to experience this tasty yet beneficial superfood!